Last night as I was again pouring out my heart to Father, praying for mercy as these judgments are now here, asking for Him to convict hearts, I was given another assignment. However, this one is for all of you around the world! Many of you have been asking and praying about how you can help and be a part of sharing the gospel of Yahushua (Jesus) with all those you can, and all those Father leads you to minister to. Here is your chance! 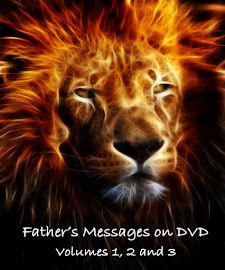 You are being requested to pray about sending letters of encouragement, love letters you could call them, scripture and encouraging messages to all those Father will be leading to these sanctuaries as the judgments continue to fall on this country. We would ask that these letters and cards be non-denominational please. This idea is similar to Operation Gratitude, Soldiers' Angels, and Operation We Are Here. You can choose to remain anonymous, or you can include your names. This is up to you as you are led by the Holy Spirit. Photographs I believe will be especially helpful and make each gesture of love and support more real. Small tokens such as scripture bookmarks, prayer cards, small home-made crafts, etc... could also be included in individual envelopes that may be of comfort to a brother or a sister who has lost so much, so suddenly. My heart was deeply touched last night with this very special request by Father, and I instantly realized how incredibly precious these cards, letters and notes are going to be when people find themselves stripped of family and everything familiar. Please put yourselves in their positions and ask for the heart of Father to understand the value in just taking a few minutes of your time to write a letter, a card or a note to a brother or sister who needs the hope of Father through your words of love and support. What an incredible gesture of love, and what a powerful way to share the love of God, especially if you are willing to write a testimony of the most difficult trials you have been through in your life, and how Father was faithful through it all to bring to where you are now in Him. Rise up Army of the Most High God and take action! We are not to stand by idly, as we watch the fulfillment of all that has been spoken in the Holy Word, the Bible. I am asking that you, your children, and family members send these letters, cards or notes. 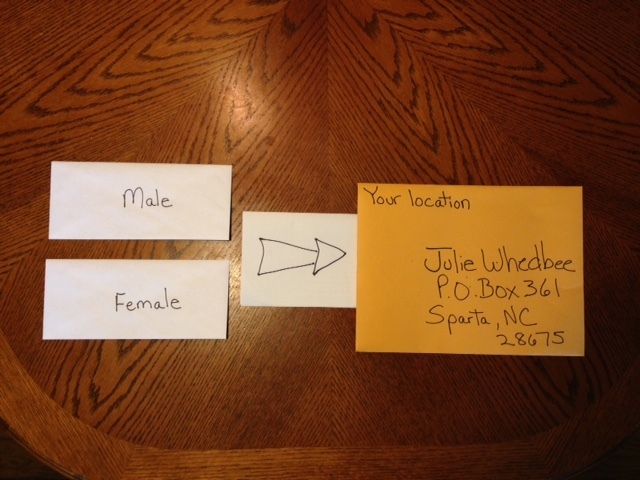 Please write the letter "F" for female or "M" for male on the front of each envelope. You could also specify an age group, i.e. "For young female or For senior male," if you are led to write to a specific person. (This may be very helpful for a young adult or an elderly person, so it is more specific and personal to them.) Then, place all of your envelopes in one larger envelope and send it to my P.O. Box address listed below. 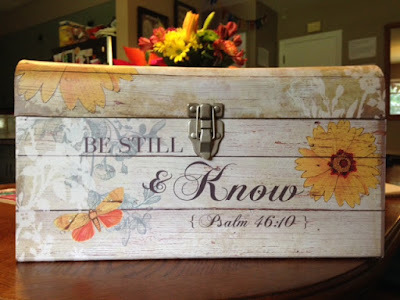 I would also ask that you pray about sending a scripture or God box, approximately 15-18 inches in length, 10-12 inches high, and 10-12 inches wide. This would be considered a large memory or keepsake box with scripture written on the outside. For those who may be inclined to make one, please google Etsy or Pinterest, as they have several good ideas and examples. We will need several boxes for both sanctuaries, as I will have separate boxes for men and women, and I am praying for as many letters/cards/notes as you can send. I believe we will have at least 100 people remaining at the two refuges Father has called us to establish, with others that Father has already told me will be passing through. If you will answer this call He is placing on your hearts, each person coming to The Lord's sanctuaries could have more than one letter to read and cherish through the tribulation period to help encourage them and give them hope. If I receive an overwhelming response of hundreds of envelopes to Father's request, I will share them with others who have been called to this same purpose of setting up a sanctuary. Thank you ever so much for coming along side of me in this calling over the years, and I am thrilled to see how powerfully Father will move amongst His people to fulfill this request! God bless you and let's get to work Army of the King!! them to us as below. Thank you! All of creation bears My signature and responds to the commands of their Maker, the Great I AM. I have put signs in the heavens, the sun, stars and moon that foretell My story and design, and that have been placed there for you in order that you know the season you are in. This past solar eclipse that was witnessed in your country of the United States signified and marked great change for your nation and its people. I have been lenient and I have been merciful, in that My warnings have been proclaimed for some time now, calling the wicked to repentance and chastening those whom I love. No longer will your country see leniency, as I now bring forth judgment to an unrepentant people as you have witnessed with this storm Harvey. My sign in the heavens for the eclipse was your harbinger, announcing the immediate beginning of great judgment for your land. I not only cause the earth to shake, the wind to roar, and the water to bring upheaval as all the elements of this earth belong to Me, but I also allow evil mankind to use weaponized technology against you to bring about the punishments I have so long forewarned about. Do you now see how My words are being fulfilled before your very eyes and My words do not come back void? This is only the beginning. I am removing My arm of protection from a people ignorant of My ways and slothful in all manner of living. This land will suffer greatly and be severely punished for all its transgressions. Not only does the blood of the innocent scream out to Me for justice, but the filth of the wicked will no longer now go without recompense. For those who have waited for My instructions with an obedient heart and will, listen very closely now. Many of you will be told to leave densely populated areas now in advance of what comes next. 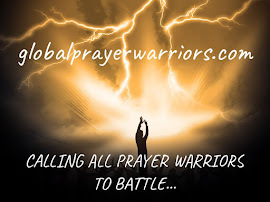 Intercessors, pray fervently as many will suffer, many will die in need of a Savior. Pray for these as often and continually as you are able. There are entities all around you now that are not what they appear to be. I tell you, as it was in the days of Noah, so it is today. There are beings amongst you that are not of Me, not made in My image, and not fully human, although they appear to be. You are living in the time where iron has been mixed with clay, and in an attempt to make himself like Me, your adversary *asatan, (see below) has used forbidden knowledge to bring about vessels through which he can control and manipulate, instruments of death and destruction, with the sole purpose of destroying you, that which I have poured My Spirit into and created in My image; and, to elevate himself to a god-like stature, as he believes he can and will rule the earth and have his dominion here. This is an abomination in My sight! I will speak more of this very soon, as this technology that has already been presented and is being utilized by many across the world will alter your very DNA, and you will be separated from Me forever, should you take this into your body. This beast system will strip you of ways of life you have become accustomed to and try to force this technology on you or you will not work, and you will not even be able to eat. Fear will drive men mad, as they comply with anything that will satisfy and gratify immediate needs, without understanding the implications of their choices. Stand ready My army as you will go forth to witness and minister amongst chaos and destruction, bringing My light to the lost, as the darkness attempts to consume them. I have just posted a new video to my youtube channel and will now post a very urgent message I received early this morning. Today's message from Yahushua will also be posted on the youtube channel as soon as possible because of the urgency. Please, I ask again that you send these messages and youtube videos to everyone you can as we are truly witnessing the beginning of great judgment for the United States in particular. Daughter, because My Son lives in you, and you in My Son, you walk in the fullness of all that belonged to Him when He walked this earth. You are One in Us, created in Our image, therefore, you must apply the same responses to every situation, just as He did. He stills walks in this realm, as He is ever present in the hearts of My people. Your position and your responsibility is to awaken and receive the revelation, that Our authority is your authority here. Because My Son reigns in your hearts here, you reign in the physical realm, and have come here to exercise this Kingdom power and authority to a lost and dying world. Tell My people, this great battle that is here can and will only be fought with My Spirit and the complete manifestation of all that I AM in and through your hearts here. The battle has already been won, as you know. It is simply for you to display the Great I AM here in this realm, by speaking and walking in My Truths. Since I AM the Word, and I AM enthroned upon your hearts, My Word is the Sword that pierces the hearts and souls of men, dividing asunder and convicting even unto the darkest of places. My Word is alive and My Word will never come back to Me void. I cannot stress the importance enough of having My scripture written upon your hearts and allowing these, My Truths to be the only response to all that comes your way. The answers to everything you encounter and to every soul I send to you can be found in My Holy Word. When spoken, My Holy Spirit is activated in performing the work He is designed to do. Great, great evil is upon you, and there is only one response that can save you. Proclaim My scriptures boldly; speak My Truths; allow My River of Life to proceed out from your bellies as it flows directly from My Throne. My Word and My promises are the only Truths that exist in all things ever created, therefore, it is only these Truths that will stand at this end of this age. Great manifestations will be the result of all those walking in obedience to My will and My commandments. Examine your hearts each day to ensure you are walking in My ways, so your lives reflect your Father and Creator. You must not hold anger or bitterness, unforgiveness, lust or envy in your hearts at any time. Pray that I will pour out the full measure of all that I AM, and the full measure of faith that has been purposed for you, as you draw closer to the fulfillment of all things. Your steps are ordered and you never walk this path alone. I AM the Father of Lights and the Giver of all good things to My children. I never withhold all that I AM from those that I love and who love Me and keep My ways. He that dwells in the secret place of the The Most High shall abide under the shadow of the Almighty. You will say of Me, "He is My Refuge and My Fortress, in You alone will I trust. 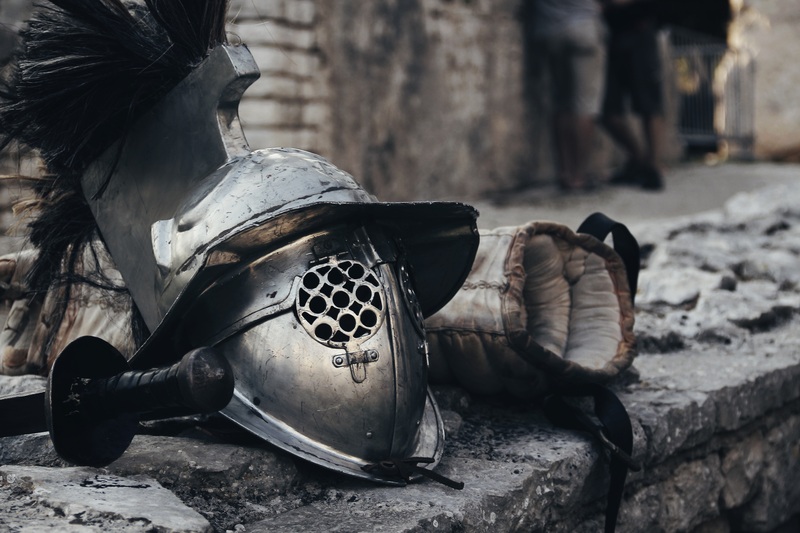 Your truth will be My Shield and Buckler. I will not be afraid of the terror by night, nor the arrow that flies by day. Because the Father of all creation dwells within me, and I have Him as my Habitation, no evil will befall me." Just as I poured out My Spirit and great strength to My Son in the Garden to prepare Him for the most difficult time in His journey on earth, so also shall I not do the same for you as you are One in My Son? I will pour out from the storehouses of Heaven, blessing upon blessing, fruit that will be multiplied, strength for the battle, faith that moves mountains, unsurpassable peace and joy from My Heart, and a powerful anointing that will remain with you until you join Me for all eternity. Rejoice this day, as you see evil closing in, as this means the culmination of all things is upon you, and sooner than you would imagine, I will bring you home. Rejoice also in that you are the chosen generation that will bring in the last harvest before I send My Son back to triumph as the Lion of Judah, and all men shall know that the Great I AM lives forever, and there is no One like Me, nor will there ever be. My loves, do not be weary, for I AM pouring out! I AM pouring out upon you in great measure and with the fullness of all I AM! Prepare to receive all of Me! My love for you has no bounds. Beloved ones, I care so for each one of you. You are My priests and My kings, because you have embraced My Son in your hearts. Soon you will see how great My love is for you. Be strong My loves, have courage. The Great I AM lives in you. 1 The earth is the Lord's, and the fulness thereof; the world, and they that dwell therein. ANNOUNCING THE BEHOLD I COME YOUTUBE CHANNEL!